In 2019 landlords and letting agents have seen an increase in the number of tenants not paying rent on time. Let’s take a look at the implications of non-payment and some top tips to reduce the risk. Tenant not paying rent? Here are our 11 tips on how to deal with a tenant not paying rent. Demand for rental property is soaring, largely due to the difficult mortgage market facing young house movers and first-time buyers. This has allowed landlords to confidently expand their portfolios and in most areas of the UK, increase their rent. It would be a mistake to think that nothing could go wrong. It’s arguably the moment investors become overly confident that they lose grip on what should be an ideal situation for landlords. One of the biggest concerns currently across the country is the issue of rental arrears. If you would prefer to have the reassurance that you’re paid rent on time – check out our Landlord package. As redundancies and pay freezes are made by employers – a growing number of tenants are finding themselves in financial difficulty. Let’s not forget that the problem is magnified by soaring utility costs, food and fuel prices. Combining these factors with huge debts that families across Britain are trying to pay down, it is somewhat understandable why so many tenants may be struggling to make their rent payments. Failure of the tenant to pay on time can have a serious impact on a landlord’s own personal finances. Those who have encountered the problem will know just how severe the repercussions can be. Most buy to let landlords will rely on their rental income to meet mortgage repayments. If tenants’ arrears persist, owners can face an increased risk of repossession. So if you’re renting out a house to tenants unable – or unwilling – to pay their rent, what are your rights? Firstly, ensure that your tenant is aware of the situation, from what is expected of them and the fact that their failure to make timely payments could have serious legal implications. This should be detailed on the tenancy agreement and signed by both parties before the tenants take possession of the property. We are still hearing of landlords that have verbal agreements with tenants – this is a huge risk as it is very difficult to prove in court, with no evidence. If they fall behind on several payments then issue them with a formal reminder of their rental obligations. Written communication is best and you should always keep your own copy of any correspondence, just in case the matter ends up in court. Should your difficulties continue, you may begin thinking about your options with regards to getting the tenant out of your property. Here, you are offered two options, outlined by Sections 8 and Section 21 of the Housing Act 1988. If within the fixed term of the Assured Shorthold Tenancy agreement, you must issue the tenant with a Section 8 notice. However, In order to reclaim possession of the house or flat, you will need to specify the legal grounds on which you intend to proceed. Provided that the court believes your reasoning to be fair and justified, you will be issued with a possession order. This would then allow you to reclaim your property. Section 21 is often the favoured approach of landlords who need to begin possession proceedings, as – in theory – the process should be far simpler. This is because this piece of legislation only applies to tenancies where the rental period has come to an end. Landlords are therefore not required to state why they are looking to reclaim possession. This should make it easier for a judge to rule in the owner’s favour. Unfortunately, the process is not completely without fault. Even if the court does grant a possession order, regaining control over the property is not always a simple and hassle-free procedure. Should the tenant still be in residence by the time their notice period expires, you are then legally required to issue a notice of intention to seek possession. This formally indicates that you will be applying to the courts to have them evicted. Provided the court rules in your favour, the tenant will be given a specific date by which they need to vacate the dwelling. However, the courts have the option to ‘suspend’ the possession order. This would allow the tenant to remain living in the property, provided they meet certain conditions laid out by the judge. The best way for landlords to protect themselves from a tenant not paying rent is to avoid picking the wrong tenants in the first place. Yes, it is true that anyone can fall behind with rent – particularly amid economic uncertainty. However, landlords can potentially reduce their risk of being plagued by tenants in arrears by carefully screening their prospective suitors before handing over any contracts. As a starting point, you should always attain comprehensive tenant referencing. These checks will look in detail at a) your prospect’s credit history, b) their employment history and c) a previous landlords reference – allowing you to make an informed judgement as to the risk of them failing to pay up. Some landlords will also request 3 month’s bank statements to show the tenant is able to manage their incomings and outgoings on a monthly basis. Remember, it is the industry standard that the tenant pays for the cost of obtaining references – not the landlord. Arrange a meeting at the tenant’s own property to discuss the terms of the agreement. This is a fantastic opportunity to see how the tenant lives in another landlord’s property. You would be surprised that just by searching the Internet using either the tenant’s email address or name could reveal vital information about your tenant. There are a number of ‘name and shame’ websites and forums where victim landlords have offered their tenants details online for the aid of future unsuspecting landlords. This document is often overlooked by landlords – particularly those that let “unfurnished” property. They are under the misconception that because there are no furniture items in the property, there is no need for an inventory. This is wrong, you should list ALL items in the property from carpets on the floor to light shades on the ceiling. Try to remove the emotional aspect of the transaction. This is more difficult for landlords letting our their own home for understandable reasons. It is your right to be able to visit the property to carry out an inspection. Just be mindful that visiting too frequently, i.e. once a month could be seen as harassment in the eyes of the law – remember, the tenant has the right to “quiet enjoyment” of the property. Every 3 months is ideal. You must send the tenant a letter to confirm your appointment and it must be received no earlier than 24 hours in advance. Quite simply, if the tenant feels that they are getting a good deal on their property, they will be more inclined to pay the rent and to stay longer. How much rent should I charge my tenants? Landlords have a superb opportunity to mitigate any rental arrears with rent guarantee insurance. This is an insurance product which has been specifically created to support landlords in the event that the tenant is unable to pay their rent. lettingaproperty.com includes guaranteed rent in their Gold service which means that the landlord will be guaranteed up to £10,000 per month as well as up to £25,000 help with legal fees. It is best to have open lines of communication with your tenants. If you notice that the rent is late, call the tenant and have a frank conversation with them. Try to find out if they are experiencing any financial issues. Talking to a landlord recently, I was impressed with a solution to help the tenant with their finances but at the same time, ensuring the landlord got paid and that was to increase the frequency of payments. Instead of once a month, the tenant agreed to pay once a week which she found easier to manage. You’ve not been paid and can’t contact the tenant, what can you do? Legally there’s a procedure to follow which can ultimately be drawn out and costly. 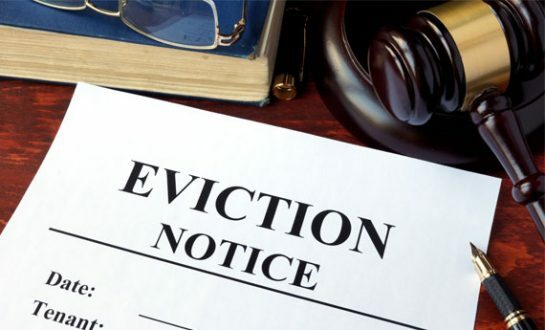 Under The Protection from Eviction Act 1977 a landlord must prove that a tenant has abandoned the property. Read our article on non-payment and abandonment. Tenant not paying rent? With rent arrears increasing across the UK, read our 11 tips on how to deal with tenants not paying rent and your landlord rights. I’ve unfortunately had the experience of two previous sets of tenants paying late. LAP were fantastic, they guided us through this messy situation.With very good advice. Fortunately, the tenant moved on to some other poor landlords house. Hi Hillary, thank you for your comment and I appreciate how frustrating it can be when a tenant stops paying rent. However, we are delighted you have found the guaranteed rent service useful in times whereby the tenant has fallen into rent arrears.